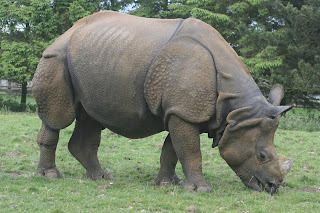 Animal Wildlife | Indian Rhinoceros | The Indian rhinoceros (also known as the Indian Rhino and the Asian one-horned rhinoceros) is a small species of rhinoceros native to parts of India and Nepal. 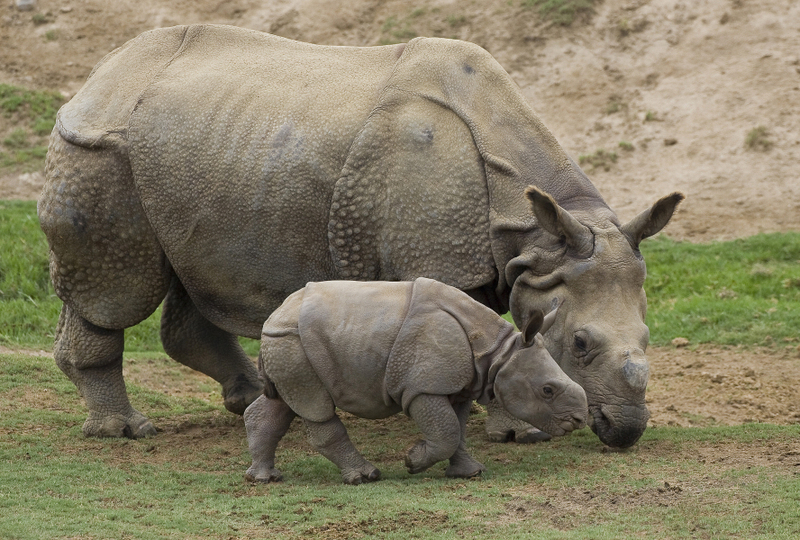 The Indian rhinoceros gets it's common name from the fact that it only has one horn rather than two. Historically, the Indian rhinoceros had a vast range across northern India but today that range has been drastically reduced due to excessive hunting. 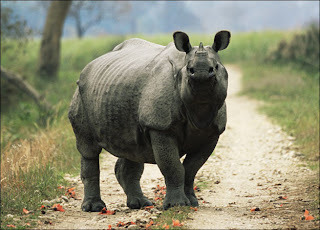 The Indian rhinoceros is now confined to the tall grasslands and forests that surround the Himalayas Mountain range. 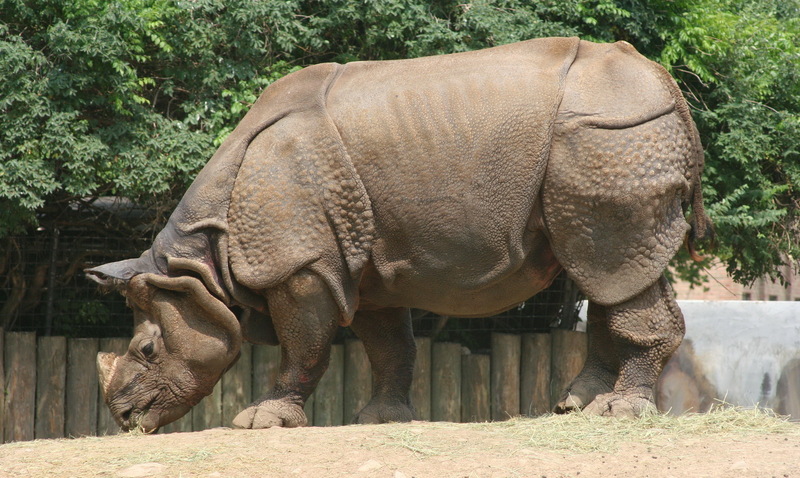 The Indian rhinoceros is one of the smaller rhinoceros species, thought to be most closely related to the Javan rhinoceros. The Indian rhinoceros has one horn which it uses for defence, intimidation, digging up roots and breaking branches during feeding. The horn of the Indian rhinoceros is made from a substance called keratin and is therefore very strong. The horn of the Indian rhinoceros is used in ancient medicine and many Indian rhinos have been illegally poached for them. The Indian rhinoceros has relatively poor eyesight, relying more on hearing and smell to detect what is going on around them. The ears of the Indian rhinoceros possess a relatively wide rotational range to detect sounds and an excellent sense of smell to readily alert them to the presence of predators. 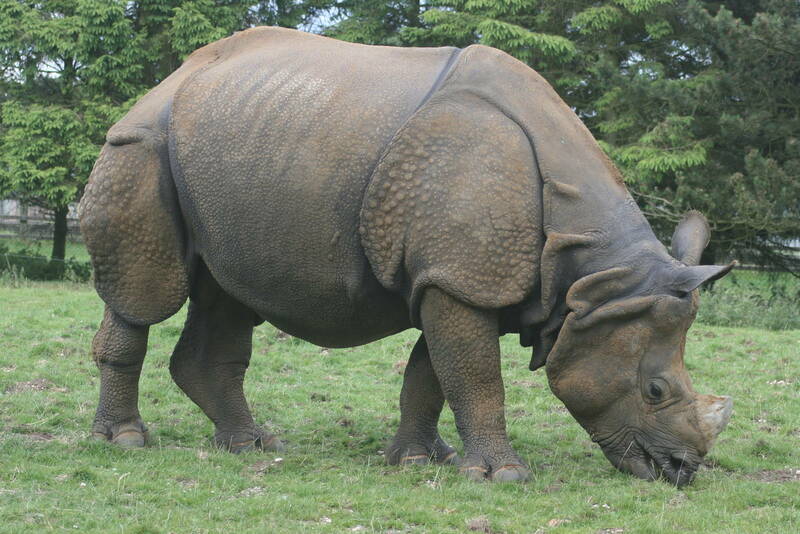 The Indian rhinoceros is a herbivorous animal meaning that it sustains itself on a purely plant based diet. Indian rhinos browse the densely vegetated sub-tropical forest for leaves, flowers, buds, fruits, berries and roots which they dig up from the ground using their horns. Due to it's large size, the Indian rhino's only real predator in the wild are large wild cats such as tigers that will prey on the Indian rhino calves and weak individuals. Humans are the biggest threat to the Indian rhinoceros as they have been hunted to the brink of extinction for their horns. The Indian rhinoceros is solitary animal and only comes together with other Indian rhinos to mate. 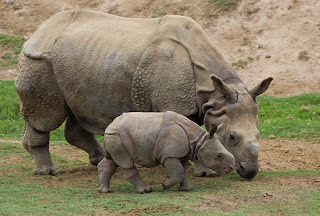 The female Indian rhinoceros gives birth to a single calf after a gestation period that is over a year long. The Indian rhinoceros calf remains with it's mother until it is at least 2 years old and big enough to become independent. Today, the Indian rhinoceros is an endangered animal and has been pushed into only a small fraction of it's historical territory by human hunters and deforestation. 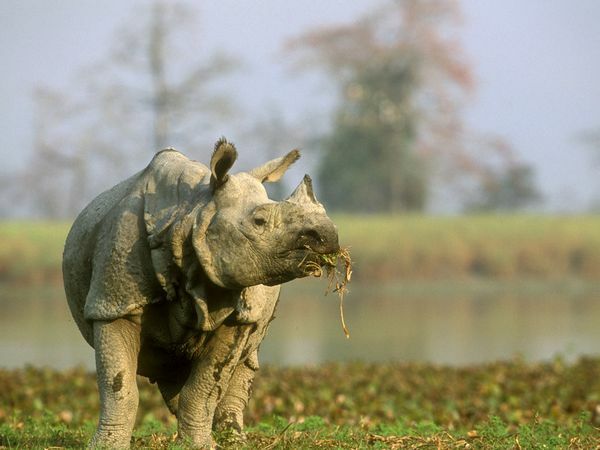 There are thought to be around 3,000 Indian rhinoceros individuals left in the wild, two thirds of which are believed to be in the Assam region of India. 0 Response to "Indian Rhinoceros"